Lehigh ROTC prepares to celebrate 100 years of producing experienced, well-rounded leaders for both military and civilian life. Thoughts of Lehigh University might conjure up many images: towering Gothic architecture, rigorous academics, the Lehigh-Lafayette Rivalry, gregarious squirrels, seemingly innumerable staircases. But the ROTC (Reserve Officer Training Corps) should also come to mind, says Major Scott Matkosky, assistant professor of military science. In fact, 2019 marks the 100-year anniversary of the establishment of ROTC at Lehigh. Well before the National Defense Act of 1916 established ROTC, Lehigh’s fifth president, Henry Sturgis Drinker, arranged in 1913 to send students to the first Summer Military Training Camp for Civilians in Gettysburg, Pa. Drinker, a graduate of the Class of 1871 and a strong supporter of military education, served as president of the National Reserve Corps from 1913 to 1916 and as chairman of the board of directors of the Military Training Camps Association from 1916 to 1919. In September 1919, he established an ROTC infantry unit at Lehigh. Far from “dreary and drab,” Lehigh’s ROTC program today continues to produce effective leaders for the Army and the civilian world. ROTC produces second lieutenants for the Army outside the U.S. military academies—and provides a unique dual-sided experience for participants, who remain full-time college students. Lehigh is the host school for the Steel Battalion, which includes full-time students from Lehigh as well as several other Lehigh Valley colleges and universities: Alvernia College; DeSales University; Kutztown University; Lafayette College; Lehigh Carbon Community College; Moravian College; Muhlenberg College; Northampton Community College; Penn State University, Berks; and Penn State University, Lehigh Valley. Approximately 94 cadets are currently enrolled in the program. Jordan Hall on the Mountaintop Campus serves as the program’s home. The battalion’s motto: Forged in Fire. In an image from the fall 1977 Lehigh Bulletin, students watch as an ROTC cadet rappels down Grace Hall. Although the university in 1920 made military science a required course for all first-year students, the program became voluntary in 1961. Lehigh in 1946 established an Air Force ROTC program but discontinued it in 1995 due to government budget cuts. Today, Army ROTC at Lehigh offers different levels of participation for students, and not all require future military service. Some students take military science classes without enrolling as cadets or participating in activities outside the classroom. Any first-year student, for example, can enroll in the freshman military science course, a 50-minute “basics of the Army” class that meets once per week. “The great thing about doing ROTC is you get a kind of basic understanding of what the military does, why they’re here, what they’re designed to do,” says Farmer, who is currently stationed at Fort Bragg, N.C.
Students also have the option of enrolling as cadets to fully participate in the program for two years without a service obligation. Some of them choose to contract later. Others from the start enroll as contracted cadets, many of whom receive scholarships. Regardless of how they approach the program, students do not major in ROTC. Instead, they take military science courses for elective credit and major in a field of their choosing. Whatever a student’s area of study, academics take top priority, and ROTC activities are scheduled so as to allow cadets to focus on their studies. In fact, each cadet’s cumulative GPA constitutes 40 percent of his or her total evaluation while in ROTC. In addition to military science classes, the ROTC program includes early-morning physical fitness training (PT), leadership labs, and field training on the more than 20 acres of forest adjacent to campus, which include a ropes course, squad situational training lanes and a land navigation course. Participants also learn basic military skills such as rifle marksmanship and small-unit tactics. Physical training is an integral factor to our cadets’ leader development...But PT is not only the physical development of the cadets. It prepares them mentally for their days, and to some degree spiritually. Physical training is there to be a cohesive medium for all of our cadets to instill discipline, teamwork and camaraderie. Morning PT sessions begin at 6 a.m. sharp and include running, situps and pushups. The program draws from cross-functional fitness and works to develop in cadets high levels of endurance. Tactical road marches require cadets to hike in military uniform with rucksacks containing approximately 30 to 40 pounds of equipment. Combat survival water testing covers swimming, treading water and floating in fatigues and boots, and in some cases with rifles and rucksacks. One test requires cadets to jump off the high diving board at Jacobs Pool in Taylor Gym while blindfolded, wearing fatigues and holding a rifle. Another challenges cadets to remove a vest while under water. The primary focus, however, is the development of leadership skills. “We’re teaching them how to think and how to really assess and analyze, so that when they’re out there with their platoon in an austere environment, and it’s just them and their soldiers, [they’ll be] critical thinkers able to assess, analyze and lead whatever mission they have,” says Abella. Hunt received a degree in mechanical engineering and served as Cadet Battalion Commander in his final semester at Lehigh. When determining his plans after high school, he says, he knew he wanted to serve in the Army but also wanted to receive a college education and have a civilian experience. He enrolled as a contracted cadet and is now stationed at Fort Benning, Ga.
“I thought that this was a great way to go to a better school that I could afford ... get a good education [and] be able to go into the Army. It was kind of the best of all the worlds,” he says. Lehigh University ROTC cadet Ryan Hunt '18 takes the Oath of Office during the United State Army Commissioning Ceremony at Packer Memorial Church on Sunday, May 20, 2018. Developing as a leader was a primary goal for Hunt, who developed a deeper appreciation for military service and the leadership skills it requires. Hunt was aware that he was no higher in rank than his peers, but he still had to lead and accomplish tasks—all without having any more experience than those he was charged to lead. “That added an element of leadership I never experienced before,” he says. Hunt also served as captain of Lehigh’s Ranger Challenge team in October 2017. Considered the “varsity sport” of ROTC, the high-intensity intercollegiate team event tests military skills as well as physical and team-oriented events. The Challenge is held each year at Fort Dix, N.J. Each of the approximately 43 participating schools sends its best cadets to compete. Lehigh University ROTC cadet Kathryn Gliot '19, right, receives an award during the annual awards ceremony on Friday, April 27, 2018. Kathryn Gliot ’19 participated in theatre in high school, which she says was like a second family to her. She found something similar in ROTC at Lehigh. Gliot is majoring in international relations with minors in German and Russian. Being in the Army, she says, has always been a part of her life. Both her parents participated in ROTC. Never an athlete in high school, Gliot found the physical fitness aspect of ROTC particularly challenging at first. She worked hard, she says, and it has paid off. She’s experienced personal growth as well. Like Hunt, Gliot wanted the civilian student experience. Doing ROTC, you get to still be a student, too...When you go to West Point, everyone there is doing Army things, and it kind of pervades into your classes and everyone knows that’s what you’re going to do. When Farmer was offered an opportunity to serve as a professor of military science, he jumped at the chance to return to his alma mater. The skills ROTC provides its cadets are applicable far beyond the military as well. Hunt took a leadership course for his major, and although it was focused on business and engineering, he says, the topics were the same as those he learned in ROTC. Are you a Lehigh ROTC alum? We'd like to hear from you! 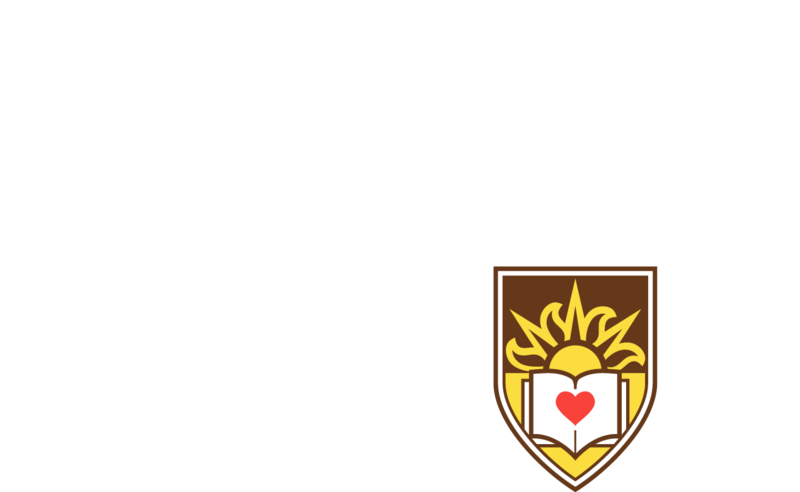 Please email inmil@lehigh.edu or call 610-758-3275 to get in touch.